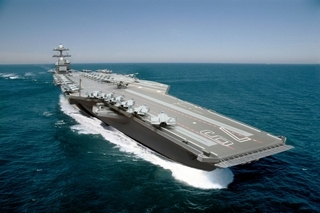 A photo illustration of the aircraft carrier John F. Kennedy (CVN 79). 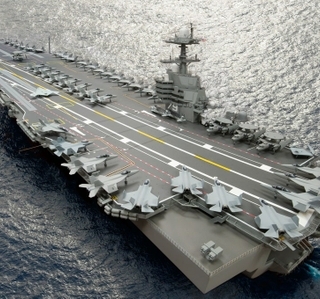 NEWPORT NEWS, Va., June 5, 2015 (GLOBE NEWSWIRE) -- Huntington Ingalls Industries (NYSE:HII) received a $3.35 billion contract award for the detail design and construction of the nuclear-powered aircraft carrier John F. Kennedy (CVN 79), the second ship in the Gerald R. Ford class of carriers. The work will be performed at the company's Newport News Shipbuilding division. The company also received a $941 million modification to an existing construction preparation contract to continue material procurement and manufacturing in support of the ship. Contract work includes ship construction, ship design activities, engineering services, procurement of materials and hardware to support construction and logistics activities. "These awards are important, not only for the shipbuilders at Newport News Shipbuilding, but for the thousands of suppliers nationwide who provide the steel, pipe, cable, paint and equipment that goes into this cutting-edge defense platform—and for the sailors who will sail her," said Mike Shawcross, Newport News Shipbuilding's vice president, John F. Kennedy carrier construction. "We look forward to continuing to implement lessons learned from the first-of-the-class ship, Gerald R. Ford, in the construction of Kennedy and delivering the next great carrier to the Navy." John F. Kennedy's first steel was cut in December 2010. Since then, more than 450 of the ship's 1,100 structural units have been constructed under a construction preparation contract that will be used to start erecting the ship's hull. 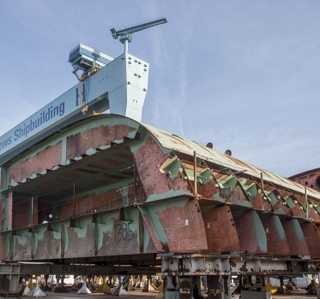 The ship's keel-laying ceremony is scheduled for Aug. 22.